I’m an Assistant Director of Traditions & Community here at RUPA! We’re the people behind RUPA’s large annual traditions, like the Homecoming Bedraces and Hot Dog Day! Campus Hop was a newer tradition that our committee planned this year. 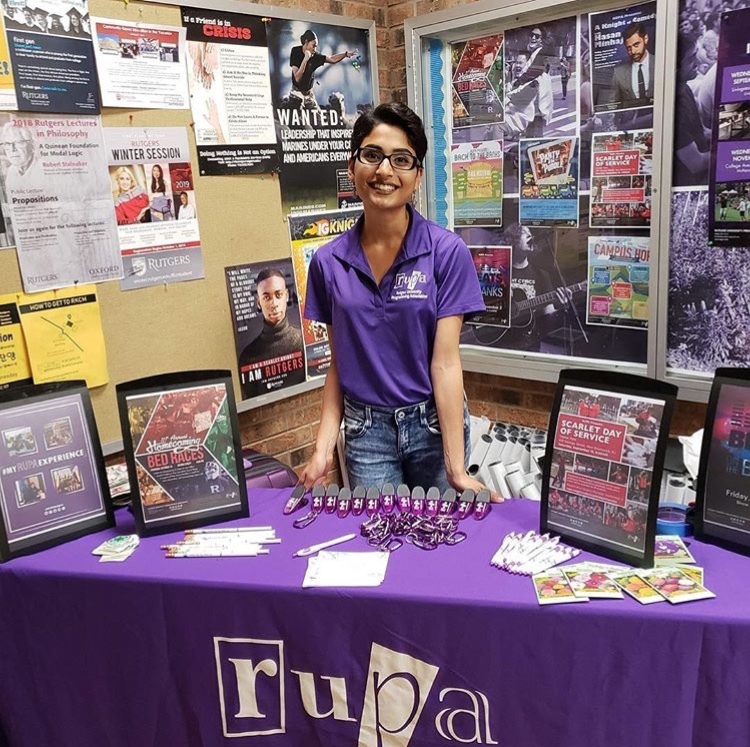 We put together a series of pop-up events and activities on all 5 campuses to welcome both new students and returners to Rutgers… basically, we were staffing a different RUPA event every single day of our first week. Though Campus Hop required a lot of planning, collaboration, and patience, it also gave me the opportunity to brighten a lot of days. During a hot and stressful first week at school, sometimes you need a little pick-me-up (whether that’s a free galaxy jar, a henna tattoo, or $15 of RU Express). On a broader note, though, I loved Campus Hop because it encouraged students to visit parts of Rutgers they haven’t seen before. I think it brought our university together in ways we didn’t necessarily expect. I’m really grateful for the opportunity to plan and staff Campus Hop alongside my wonderful committee, and I can’t wait to get started on our next big event!